Class fees are due at the time of reservation. If you cancel by 48 hours of the class, you will receive store credit that can be applied to a future class. If you cancel after that, the class fee is non-refundable. Each class is 2-3 hours in duration unless noted otherwise. Each class (other than the Learn to knit class) must have a minimum of 2 registrants to take place. We will refund your fee if the class is cancelled due to not reaching the required minimum. Class materials must be purchased at PYC. Students receive a 10% discount on project yarn or may have the 10% placed on their reward cards. See the latest offerings below. We have two projects designed by Casapinka that we will be working on for this knit-a-long. They each use three colors, are similar in shape and can be worn several different ways. One we have already knit up and will be showcasing on LYS Day. The other is a brand new pattern designed for LYS Day and debuting then. It will be free with purchase of the yarn. Join us for this super fun knit! Yarn must be purchased from the shop in order to participate. 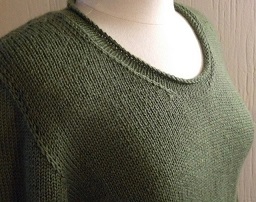 The unique construction of this top-down sweater is what makes it so fun to knit. Using German short rows to shape the shoulders and slip stitches to create the look of a set-in sleeve, this sweater is seamless! You must complete your gauge swatch before the first class so plan accordingly. Save $15 and sign up for all 3 classes for $75! These classes include "How to Knit" or "How to Crochet" booklets. Learn about tools, types of needles, gauge, how to read yarn label, and how to cast on and knit. Give us a call to schedule! Learn to purl, practice knit/purl combos, how to read your knitting and bind off. Learn how to read a pattern, commonly used abbreviations, increases and decreases. Learn about types of hooks, accessories, reading yarn label, and how to chain, and single crochet. Learn about turning chains, double crochet, slip stitch, treble crochet, and stitch variations. Learn how to work into a ring, increasing, decreasing, changing colors and finishing techniques.